The StepMania project is proud to announce the release of StepMania 5.1 Beta 1; this is the first publicly-released beta build based on the "5_1-new" branch (see roadmap update for details), so it is significantly different from the previous alpha builds named "5.1" that were released in 2016. Source code, a Windows installer, and a macOS binary build are available now. If you encounter any issues with this release, please do not hesitate to report them on our GitHub issue tracker. 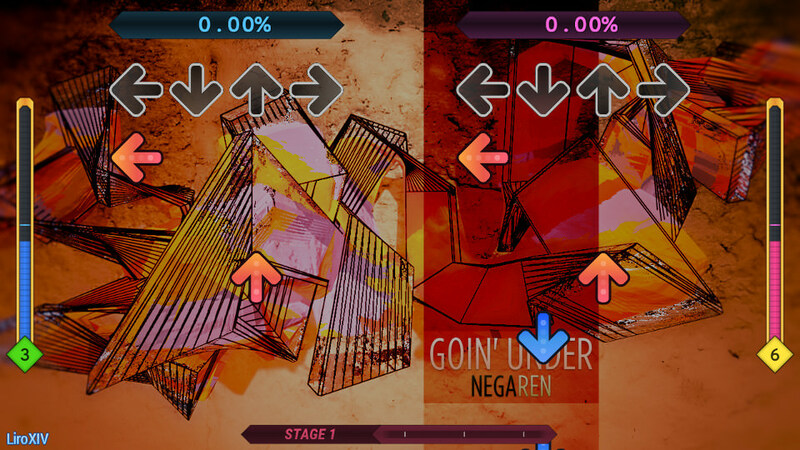 Please note that StepMania 5.1 uses a separate folder for user files and profile data than StepMania 5.0, so you may have to migrate content to the new location, or configure alternate locations separate from your user data directory. Edit: There were some issues with the Windows installer originally uploaded (particularly, it did not identify itself correctly or use "StepMania 5.1" as the installation path). This has now been fixed. Additionally, a macOS version is now available. I'll test again, but it was working for me last I tried. Only tested on Linux. As an addendum, I am testing some changes to the look of the new default theme to make it more concise from a stylistic standpoint. Please see the Lambda thread for details.